Acuité Ratings & Research brings to you the first edition of the India Credit Risk Summit. Indian banks have been facing the challenge of NPAs at an unprecedented scale. On the other hand, very important reforms in the insolvency & bankruptcy laws have taken place. Credit risk is at the centre of all discussions around the economic future of the country. Hence, this event will be of tremendous importance for lenders and borrowers to understand what lies ahead. 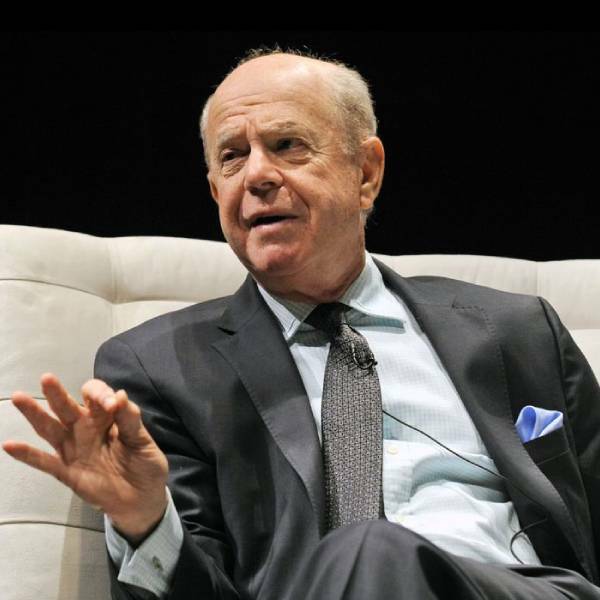 Prof. Edward I Altman, Professor Emeritus of Finance at NYU, Stern School of Business, will be the keynote speaker at the event. He is best known for the development of the Altman Z-Score for predicting bankruptcy. He will share his insights based on 50 years of his work on credit risk management. This will be followed by a panel discussion - ‘Has the credit cycle bottomed out in India? - bringing together a group of experts to share their thoughts on the medium-term outlook on the credit cycle. The summit will have a global reach and presence of policy-makers, regulators, bankers, investors, and business leaders. Sankar has more than two decades of experience in developing and selling data, analytics, risk management, and financial research solutions. Sankar is an Independent Director on the Board of Indian Oil Corporation. 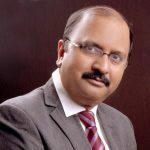 He is a member of the Working Group constituted by the Insolvency and Bankruptcy Board of India for recommending the provisions of the Insolvency and Bankruptcy Code. He is also a member of FICCI's Capital Markets Committee and IBA's Standing Committee on MSMEs. PANEL DISCUSSION – HAS THE CREDIT CYCLE BOTTOMED OUT IN INDIA? SESSION 2 – WHERE ARE WE IN THE GLOBAL CREDIT CYCLE? Prof. Edward I. Altman from the NYU Stern School of Business and inventor of the famed Altman Z-Score Credit Risk model, will describe the incredible evolution of his family of Z-Score models over the 50 years since its inception in 1968 and why it is still the most well-known and used corporate distress and default prediction model, globally. He will also discuss current conditions and his outlook for global credit markets and whether the benign credit cycle in many countries will continue, and what are the major risks going forward for the cycle to change to a stressed environment, and what will be the consequences when the cycle does change. Edward I. Altman is the Max L. Heine Professor of Finance, Emeritus at the Stern School of Business, New York University. He is the Director of Research in Credit and Debt Markets at the NYU Salomon Center for the Study of Financial Institutions. Prior to serving in his present position, Professor Altman chaired the Stern School's MBA Program for 12 years. Dr. Altman was named to the Max L. Heine endowed professorship at Stern in 1988 and his Emeritus status in September 2015. Dr. Altman has an international reputation as an expert on corporate bankruptcy, high yield bonds, distressed debt and credit risk analysis. He was named Laureate 1984 by the Hautes Etudes Commerciales Foundation in Paris for his accumulated works on corporate distress prediction models and procedures for firm financial rehabilitation and awarded the Graham & Dodd Scroll for 1985 by the Financial Analysts Federation for his work on Default Rates on High Yield Corporate Debt and was named "Professor Honorario" by the University of Buenos Aires in 1996 and “Honorary Doctorate” from Lund University (Sweden) in 2011 and the Warsaw School of Economics in 2015. He was an advisor to the Centrale dei Bilanci in Italy and to several foreign central banks. Professor Altman is also the Chairman of the Academic Advisory Council of the Turnaround Management Association. He was inducted into the Fixed Income Analysts Society Hall of Fame in 2001, President of the Financial Management Association (2003) and an FMA Fellow in 2004 and was amongst the inaugural inductees into the Turnaround Management Association’s Hall of Fame in 2008. In 2005, Prof. Altman was named one of the “100 Most Influential People in Finance” by the Treasury & Risk Management magazine. 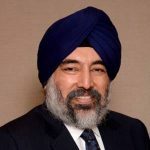 Jaspal Bindra is a veteran banker with a successful career spanning over 30 years in the banking industry across the globe. Before joining Centrum Group as Executive Chairman in April 2016, Mr. Bindra was associated with Standard Chartered Bank for 18 years. He served in leadership roles in many countries in South East Asia, rose to the main parent Board as Director and his last position at Standard Chartered Bank was that of CEO AsiaPac region, based out of Hong Kong. His experience of Treasury, Capital Markets, Investment Banking, and Consumer Banking is tremendous. He continues to serve on the Board of several companies like Reckitt Benckiser and is also on the Board of Governors of XLRI Business School. His early career years were with UBS Investment Banking and Bank of America. Previously, he has worked at the Tata AIA, American Express and ICRA among others. Dr. Ghosh was a member of an Independent Committee set up by the Government on suggesting ways to capture employment data in India. He serves as a member of the Indian Banks’ Association’s Monetary Policy Group and also provided inputs to Reserve Bank of India’s Expert Committee to Revise and Strengthen the Monetary Policy Framework. Dr. Ghosh is also a member of ALM Committee, Product Committee and Risk Management Committee of the Board at SBI. 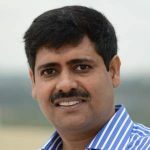 In 2018, Dr. Ghosh has been ranked as one of the Best Individuals in Research in India by the Asset magazine, He has authored several publications on the Indian economy and recently co-authored chapter in 2 books: (a) a chapter entitled “ in ASEAN –India Developed and Co-operation Report,2015 published by Routledge and (b) a chapter entitled “ revisiting Global Governance” in Global Economic Cooperation,2015 published by Springer. Dr. Ghosh received his PhD in Economics from Jawaharlal Nehru University. In his impressive career spanning over two decades Bala has adorned multiple hats and managed multiple roles. Prior to his current positions, Bala was the President- International, Westpac Banking Corp. 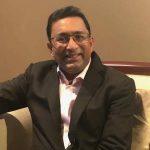 In his role as Senior Managing Director, Standard Chartered Bank, he was heading the Corporate Banking for South and South East Asia (16 countries) and grew the business across the region with a diverse team. In his tenure as the CFO of ICICI Bank, Bala oversaw the iconic merger of ICICI Ltd. and ICICI Bank and before that he played a critical role as a founding member of KPMG India. Gautam Bandyopadhyay co-founded Novopay in 2014. Novopay was formed to help reach Banking and Financial services to the unbanked and underbanked billions, leveraging technology to offer banking and payment services at the lowest cost. Prior to Novopay, Gautam was with Infosys Technologies. 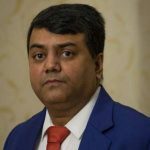 At Infosys, he was associated with Finacle Business unit (the Banking products division of Infosys) and played varied roles from Product Management to Solution Consulting to Global deliveries Management. Gautam headed the Finacle Innovation Hub and created several new products. Finacle Digital Commerce was one such a solution, created ground-up, that catered to digital transaction in self and assisted manner. 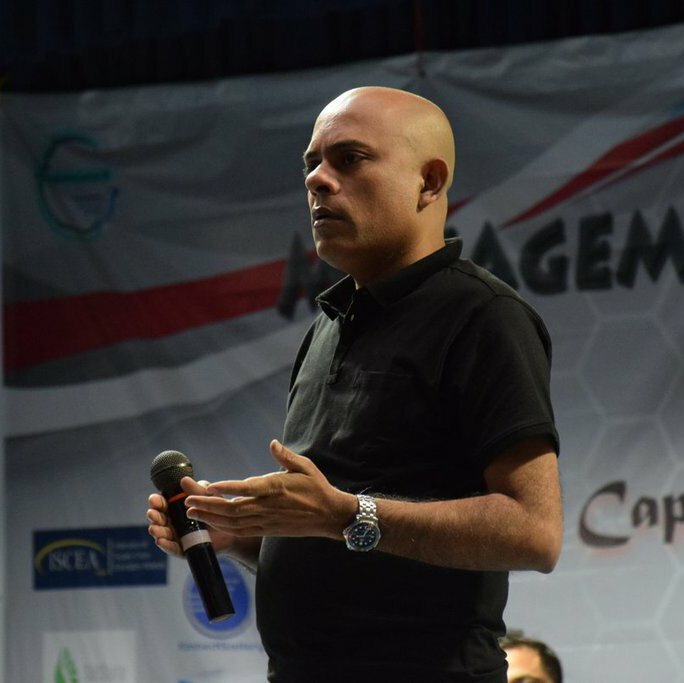 His experience in dealing with challenging problems, design products and develop the same using cutting edge technologies set the background for starting his entrepreneurial journey in 2013. Suman has over 22 years of experience in the credit ratings and credit risk domain. An alumnus of IIT Kharagpur and IIM Kolkata, Suman has worked for over 18 years in leadership roles at the largest rating agencies of India. He had made significant contributions in thought leadership during his tenure in these CRAs. Suman has also worked as a group head in Credit Risk Management Group of ICICI Bank with an oversight on both corporate and SME exposures. Has the credit cycle bottomed out in India? What is the extent of residual stress in the banking sector, if any? What kind of financing and liquidity challenges does the corporate sector face in India? Will recoveries step up in FY19 under the IBC framework? Are credit risk management systems improving in Indian banks? Acuité Ratings & Research Limited (www.acuite.in) is a full-service credit rating agency registered with SEBI and accredited by RBI. Acuité is possibly India’s fastest growing credit rating agency having completed 52,000+ ratings so far across small, medium and large enterprises. Acuité is now a well-recognized name amongst banks for an impeccable track record of credible ratings and incisive research. Acuité’s initiatives such as the RATINGSBUZZ mobile app, security enabled rating reports have received great appreciation from users of credit rating for solving practical issues they face daily. The company is promoted by SIDBI and Dun & Bradstreet with India’s leading banks (including SBI, ICICI Bank, Standard Chartered, Bank of Baroda, Union Bank among others) as shareholders. Acuité’s India Credit Risk Summit is provided with no special warranty either express or implied. In the unlikely occurrence that the Summit has to be cancelled or postponed due to circumstances beyond the control of Acuité, Acuité cannot be held responsible for any costs incurred by the event attendee other than the reservation fee, if any. Acuité reserves the right to cancel any reservation without prior notice. All the views, opinions, data and facts expressed or stated by the speakers, presenters and participants are that of their own and are not necessarily endorsed by Acuité. All contents presented at the event and photographs taken at the event shall be properties of Acuité and cannot be used by any third party without express permission of Acuité.